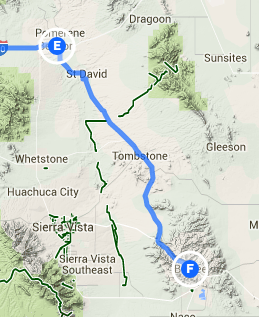 Trip Log – Day 204 – Benson, AZ to Bisbee, AZ | How Will We Live Tomorrow? 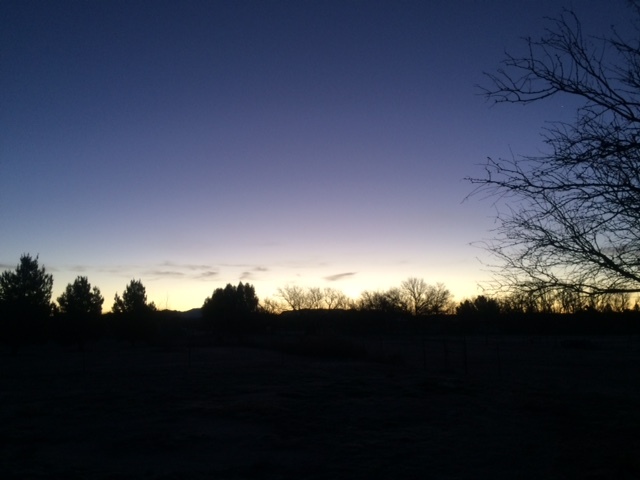 I woke to frost after ten hours of solid sleep, climbed out of my cozy motorhome and witnessed a glorious dawn. After a delicious breakfast with my hosts, I hit the road under full sun and a rising thermometer. Fifteen summers ago I traveled Arizona Route 80 in a motor home with my two grammar school age children and their cousin. 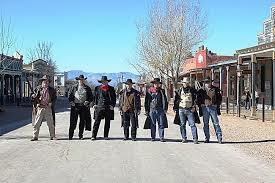 We watched the staged gunfights in Tombstone’s OK Corral and toured Bisbee’s Copper Mine. Memories of that trip line my passage now. Tombstone without a ten-year-old boy seems more gimmicky than I recalled. But the landscape, at my much slower speed, seems more majestic. By noon, the sun gave over to clouds. Beyond Tombstone, the broad plains with distant mountains begin to close in. 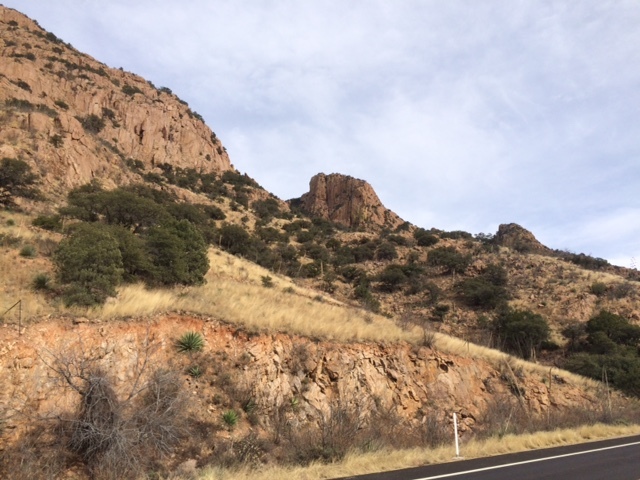 The road undulates through hills and valleys, and up a gorgeous canyon. 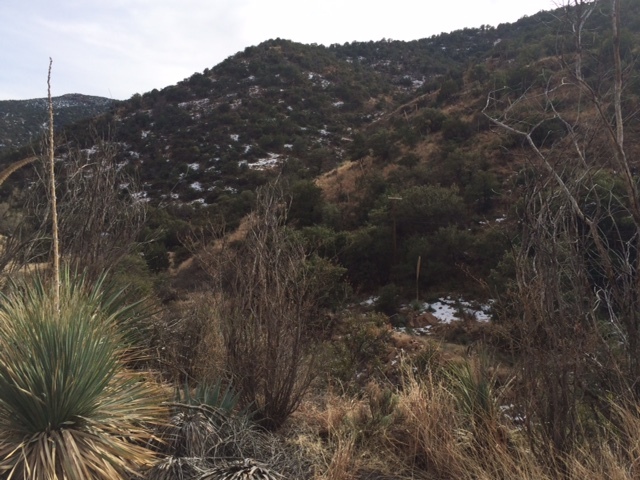 The north side of the canyon, which faces south, is red, rocky desert. 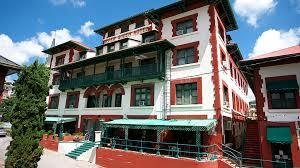 The south side, in constant shade, is littered with deep green pines and an underlay of snow. At the road’s crest, near 6,000 feet, the road shifts to the shady side, Instantly, I was cold. Most people would say I’m frugal. Some might use less accommodating adjectives to describe my relationship to money. I like to think I’m judicious but know when to splurge on something truly dazzling. 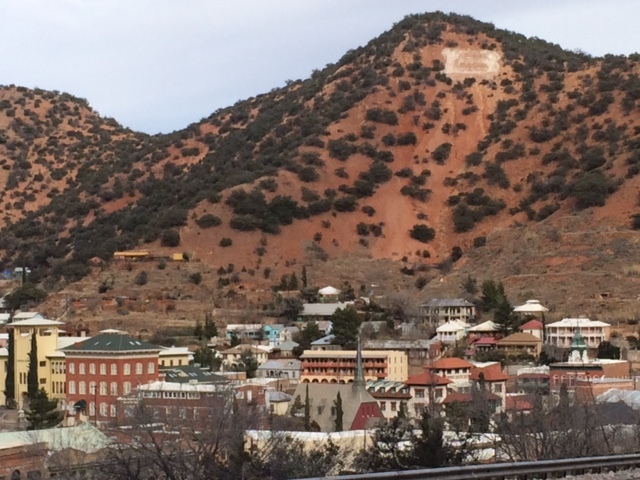 One glance at Bisbee’s mountainside Historic District convinced me it was worth staying at the Copper Queen Hotel, a nineteenth century eclectic Spanish painted lady where, at one time, true painted ladies plied their trade. The receptionist’s upturned curls and flower in one ear was the perfect period touch: classy, not touristy. 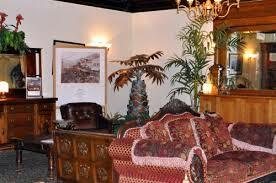 The saloon, velvet sofas, pin-stripe wallpaper and creaky floors felt authentic. Apparently three ghosts inhabit the place. I think they have good taste. 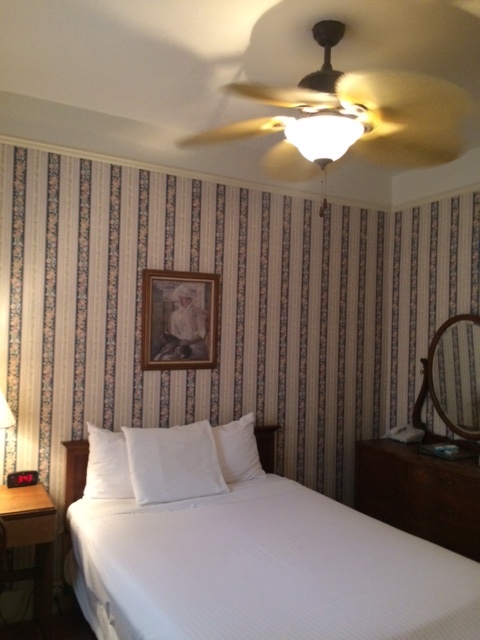 This entry was posted in Bicycle Trip Log and tagged Bisbee AZ, Copper Queen Hotel, OK Corral, Tombstone AZ. Bookmark the permalink. Any gun-fights in the bar?